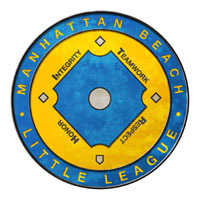 Manhattan Beach Little League, mbll.org: View the Guestbook. From our baseball family to yours, best of luck this season. Awesome website!!! You guys look like you have a great organization!! From our Softball Family to Yours, We Wish You All a Safe & Happy 2006! We are a first year girls 14U team that is classified as a "B" division team. Our goals are to compete at the highest level. And to strive for excellence on and off the playing field. we hopr you all have a great season and hope you stop by to see our site and sign the book. we got spotlight site of the month for Feb. 2004. until then play hard and safe.